Mobile Om offers a weekly beginner yoga series at San Antonio’s newest riverside landmark, Confluence Park. These FREE classes are offered every Sunday from February 3rd through November 24th from 10am-11am. The session will focus on the fundamentals of yoga with a practice designed specifically for first time and beginner yogis. 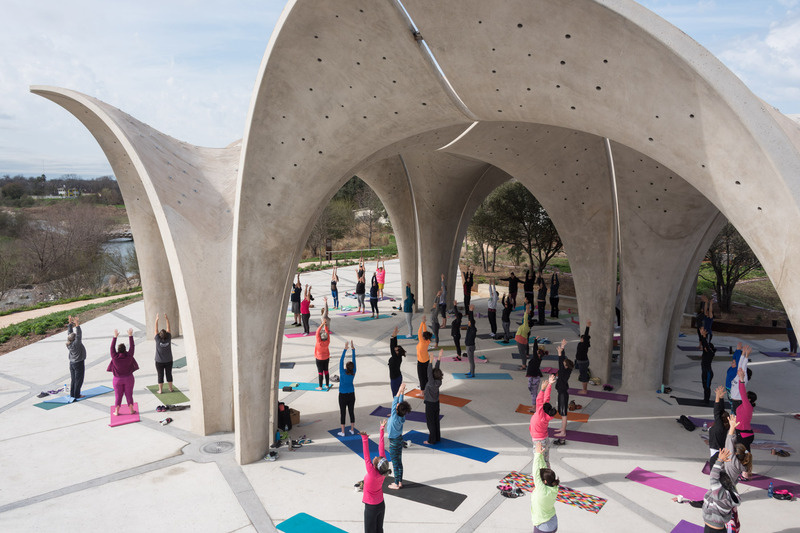 Grab your mat and meet for a morning of breath, movement, connection and community under the beautiful concrete petals in the heart of the park. This series is presented by Go365 by Humana in partnership with the San Antonio River Foundation.